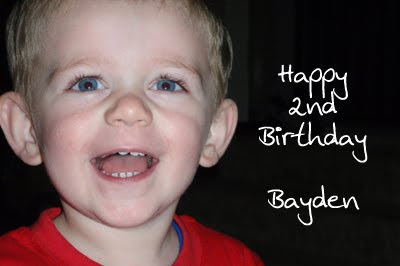 First - Happy Birthday to Bayden! My little man turns two today. My husband and I both took the day off work and we have had a very busy and exciting day. In fact I'm ready to collapse on the sofa with a glass (or bottle) of wine. Now onto my latest lot of Ulta3 swatches. Bouquet - This one reminds me of a pink version of pearly grape. 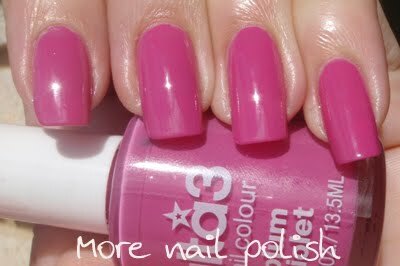 The shimmer in this is a real fuchsia colour, bordering purple, and it's in a bright pink base. It has a slight duochrome effect, with the edges being quite red and the shimmer much pinker. This was three coats. A real flashy colour. Very nice. Plum violet - don't know where they get the violet in this one. It's a blue toned pink creme. To me it's a tiny bit lighter and slightly bluer than eighties fuchsia. This was two coats. Poppy - is a frosty hot pink. This was two coats and it had good coverage. A tiny bit streaky even after it dried, but nothing too noticeable. Delight - is a pink frost. It's a dusty pink, but much pinker than dusty rose. It's the same tones a beesting, but is pinker and more opaque. This was two coats. Pic taken outside, but sun behind a cloud. Freesia - is a pretty shimmery blue toned pale pink. It's a pinker version of yummy mauve. It too was a little streaky, but nothing too bad. In fact the streakiness is probably more related to my sloppy application. This was two coats. 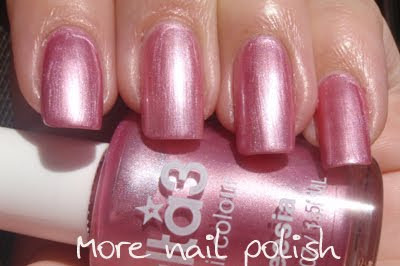 Dusty rose - is such a pretty neutral pale shimmery pink. It matches my skin colour very well and looks just like an extension of my fingers, but with pretty shiny tips. This was two coats. Bon bon - I love this, its sooo pretty. It's a real girly colour, pale pink frost. But the frost is super smooth with no streaks. It looked very delicate on. This was three coats, and it's still not totally opaque. Baby pink - is a pale pink which is similar to natural spring. Most of the time it looks like a creme, but catch some light on it and is has a beautiful blurple shimmer. Very cool. This was three coats, so it's rather sheer. I actually had a disagreement with the sales assistant about this one, she wanted to charge me $2.50, but after showing her the bin of polishes, and the fact that nowhere was any polish listed for $2.50, only $2.00, she had no option but to give it to me at the advertised price (it's not the 50c, it's the principle). 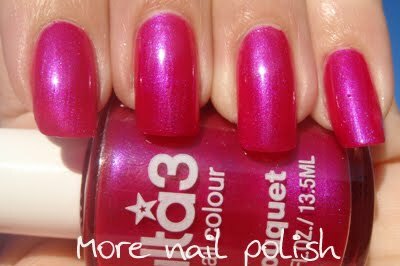 There are a huge range of pinks in the Ulta3 collection. Out of this group, my favourites are bouquet, bon bon and dusty rose. But picking a favourite really depends on the day and my mood. I'm almost ready to launch my Ulta3 colour guide, and I think I will have to have a fabulous Ulta3 giveaway after all this work, so stay tuned. I bought Bouquet today! Very nice, I also got Pearly Grape so I agree that it's the pink version. And I also bought Plum Violet. I'm disappointed, I prefer Eighties Fuchsia to it. I'm being strangely drawn to Baby Pink after seeing your swatches... hmm... another trip to the ulta3 bin? Can't wait for the colour guide! Happy 2nd Birthday Bayden! He's a cutie. Sounds like you all had a great day. Wow, I gotta keep my eyes peeled for Plum Violet! Great stuff! That's strange. My Plum Violet, which I bought two weeks ago, is not a pretty crayon pink like the bottle suggests (and your nails), its a fluoro hot pink. I was very disappointed...maybe its part of the "old" Plum Violet.